On 111th birth anniversary of Lev Davidovich Landau, Google honoured him with a special doodle. 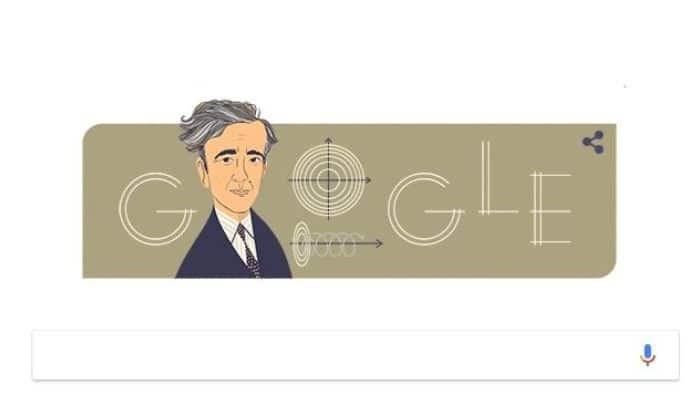 Google has honoured Soviet theoretical physicist Lev Davidovich Landau with a special doodle on his 111th birth anniversary. During the 20th century, he made some of the most significant discoveries. Landau is also known for introducing an array of concepts in the quantum theory. He was honoured with the Nobel Prize in Physics in 1962. Born in Baku on January 22, 1908, he excelled academically, particularly in math and science. His father was an engineer and mother a doctor. At the age of 19, he graduated from the Physical Department of Leningrad University. Later, he joined Leningrad Physico-Technical Institute in 1924. He was awarded with the Lenin Science Prize in 1946 for his research in the Course of Theoretical Physics. In 1961, he was honoured with the Max Planck Medal and the Fritz London Prize. He won the U.S.S.R. State Prize several times and in 1962, he received the Lenin Science Prize jointly with EM Lifshitz. After his death, his contributions were honoured by Russia by naming a moon crater after him at the Landau Institute for Theoretical Physics in Moscow.